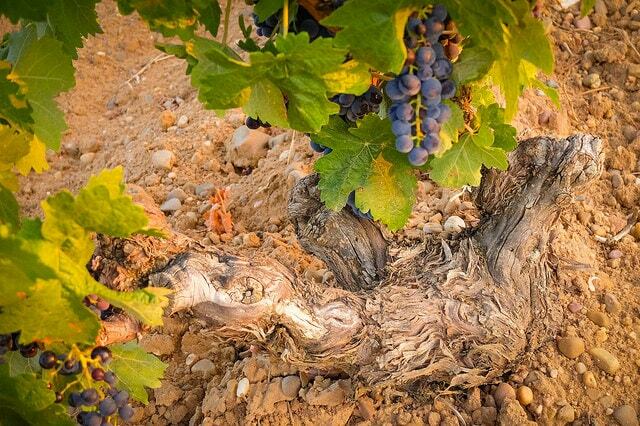 Located in the heart of Spain, Ribera del Duero is Tempranillo country. Thanks to a heady mix of cool nights and sizzling hot days, it’s the perfect climate for bringing out the best in the region’s bold style of Tempranillo. Hands-down the Ribera del Duero’s shining star is the Tempranillo grape, known locally as Tinto Fino. The region’s rugged climate forces Tempranillo to ripen with thicker skins, more pigmentation and higher levels of acidity, which all translates to high-powered, meat-loving tannins, vibrant color pigments and incredible aromatic profiles in the glass. The wines of Ribera del Duero show an alluring mix of supple intensity and extreme food-pairing versatility. 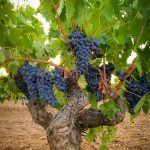 Ribera del Duero – A Griller’s Delight! When it comes to the best wines for grilled grub, red wines typically top the list. Wines that can handle smoked sausage, grilled steaks, poultry, pork and a kabob of seasonal veggies and assorted meat should carry their own balance of fruit, acidity and structure. Tempranillo brings all three key components to the grill and generously offers up exceptional food pairing partnerships. Grilled Chicken: Whether slathered in barbecue sauce or simply seasoned with fresh herbs and a squeeze of lemon, grilled chicken is an easy pairing partner for Tempranillo’s earthy character and fruit forward (often black cherry and strawberry) nature. Grilled Pork: From tenderloin to pork chops, Tempranillo is a master pairing partner with all things pork. Maybe it’s the traditional pairing roots of Jamón ibérico or maybe it’s that Ribera del Duero’s higher acidity cuts through the dry spice rubs and always handy barbecue sauces with familiar ease, either way Tempranillo is a no-brainer for pork themes whether grilled, slow cooked or cured. Steak, Burgers and Brats: Ribera del Duero’s full-throttle tannins can make it a steak lover’s dream. The wine’s tannin astringency is easily tamed by the steaks fatty components and the flavors of both are deliciously elevated. Tempranillo also carries its own smoky character, thanks to oak’s happy influence, which gives it an edge to serving with a wide range of smoked, grilled and cured meats. Veggies? Yes! Don’t let the “red wine with meat” myth steer you away from the grilling adventure of salt and pepper veggie kabobs. Tempranillo is one of the most versatile reds around. Sometimes Tempranillo comes across like a spicy Pinot Noir. The wine’s herbal, earth-driven character can make it an unforgettable partner for the concentrated, sweet flavors of lightly charred veggies. Solo: We aren’t the only ones that like to sip a glass while turning steaks on the barbie. A glass of Tempranillo while pulling grill patrol is the perfect way to get the party started. Ribera del Duero’s Tempranillo promises loads of blackberry, black cherry and blueberry fruit in tandem with an earthy mineral-driven, tobacco-induced flavor profile. Full throttle fruit and integrated structure, along with Tempranillo’s sassy style and versatile pairing nature make it a top pick wine for serving with a wide variety of grilled fare this summer.